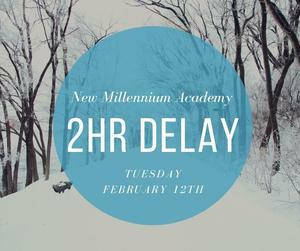 NMA will have a 2 hour delayed start for scholars. 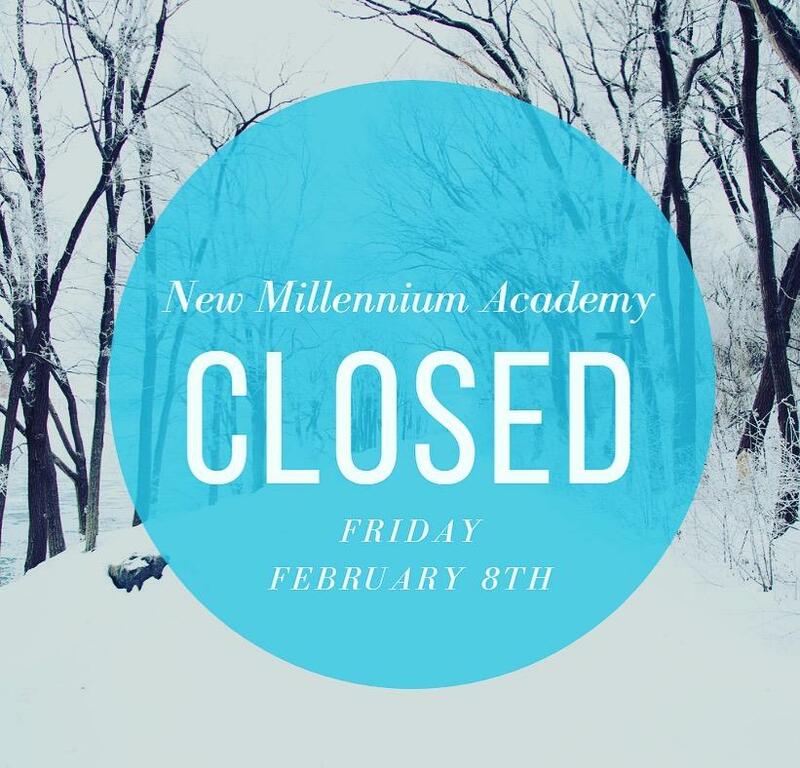 Due to the weather, NMA will be closed on Friday, February 8th. 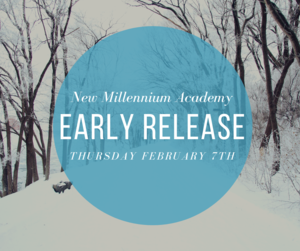 Due to the weather, NMA will dismiss school at 3:30 PM. 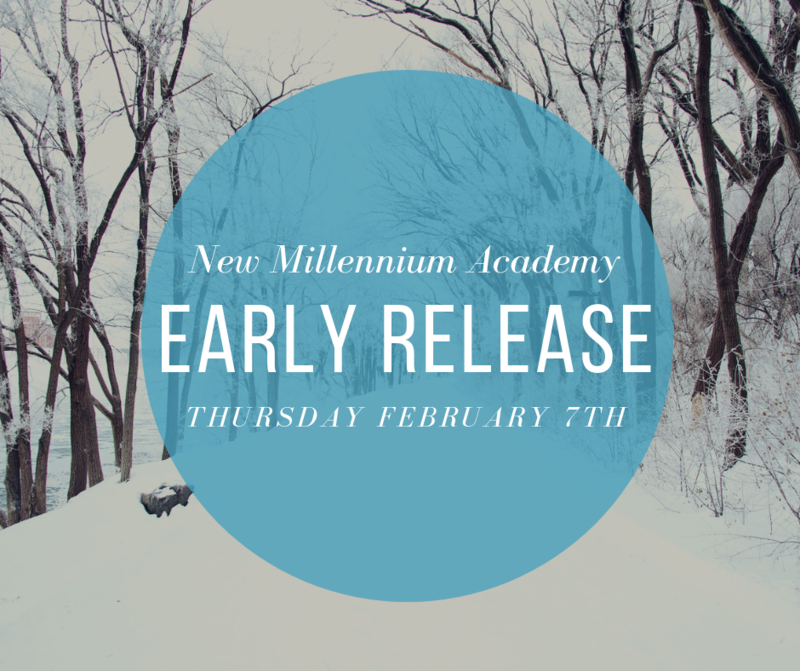 Due to the weather outlook for this evening, After School Tutoring will be cancelled today, Thursday February 7th. 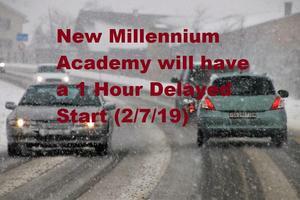 Due to the weather, New Millennium Academy will have 1 hour delayed start (2/7/19). 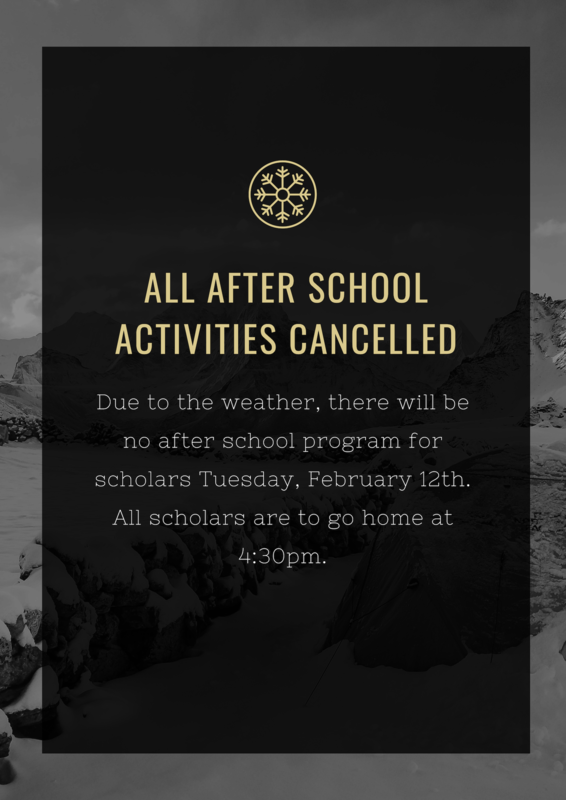 Due to the weather, there will be no after school for scholars. All scholars are expected to go home at 4:30PM. 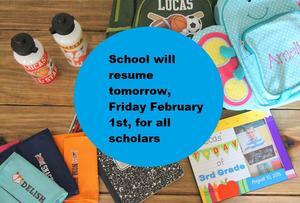 School will resume for scholars and staff on Friday. 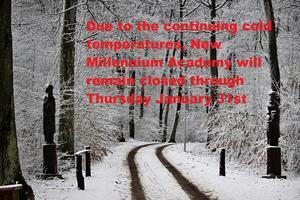 Due to the continuing freezing temperatures, New Millennium Academy will remain closed through Thursday January 31st. 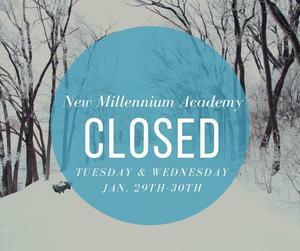 New Millennium Academy will be closed for scholars on Tuesday January 29th and Wednesday January 30th.